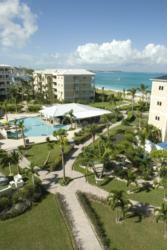 Three New Caribbean Vacation Packages at The Alexandra Resort on beautiful Grace Bay Beach. The Alexandra Resort, a beachfront resort located on top ranked Grace Bay Beach, has announced a new line-up of spring and summer specials. These great Turks & Caicos vacation offers will make it easier to enjoy this exclusive Caribbean destination. Girl’s Getaway Package – From $499/night/oceanfront 2-bedroom suite from May 1 – June 30, 2012. Based on quad occupancy. Includes 20% discount on Spa Sanay services and $50/per person in casino chips to Casablanca Casino. Summer Getaway – From $1699/7 night stay in a gardenview one-bedroom suite from May 1 – August 31, 2012. Based on double occupancy (2 kids 12 and under stay free). Fifth Night Free Getaway – Pay for four nights and the fifth night is free! Applicable on all room categories for travel from May 1 – December 19, 2012 (excluding U.S. Thanksgiving). All specials are subject to availability, advance reservations and subject to change without notice. Reservations must be made directly with the resort. For more information visit http://www.alexandraresort.com or email the General Manager, Anette Mullings, at anette(at)alexandraresort(dot)com.